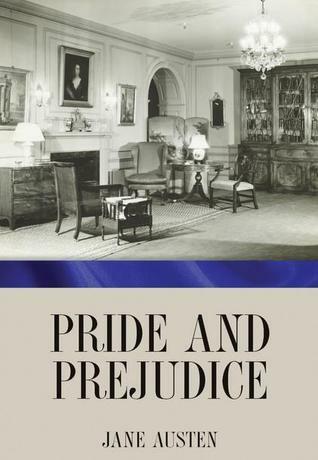 I read Pride and Prejudice (← free ebook) for the 'classic romance' entry in the 50 Book Challenge. I'll admit that I came to this as a complete Austen virgin. I've not read any of her books or even watched the movies. I'm not really a fan of romance or any of the 'classics' I've tried to read. It's just not really my thing. I honestly don't get the thousands of gushing 5 star reviews that I see, but I did enjoy the book much more than I expected to. I got into the story and finished it in one day. It wasn't as much of a hard read as I had feared. While I'm not much on the over-arching plot of “First and foremost, we must make prosperous matches for the girls!”, it was interesting to get a glimpse into a culture so fixated on such things. At first I actually found it quite dull, following around a wealthy 'wisteria' family who does no work beyond social climbing and who measures everyone who comes to town based on how much more income they similarly get for doing nothing. It's good to be born into money, but better to be born (or wed) into LOTS of money. Gotcha. Life revolves around balls and how many times various girls get picked to dance. I'll admit that I feared 300-odd pages of Rich White People Problems, which was definitely delivered, but the characterization was so fun and skillful that I enjoyed following along for the day. The various young men and women were not all cookie-cutter, and Austen did an admirable job of making them all fairly well-rounded with believable weaknesses. The secondary characters stood out for their worst qualities and inability to even care about rectifying them, while the main characters shone because they were willing to have some introspection, admit their faults, apologize for them, and make real changes. I ended up liking Elizabeth and Darcy more than I expected to, and the Gardiners, while also love-hating Mrs. Bennet, Lady Catherine, and Mr. Collins. My favorite character, however, was Mr. Bennet. His lines had me laughing aloud several times. While I'm not a huge fan of the “let me round-about explain what all happened in this particular passage, although I will do so as the narrator and not actually show you any of the action or dialogue that it entailed, just, you know, tell you what all is intended right here” approach, I can begrudgingly appreciate it for what it was and being of a different time. I'm really back-and-forth on this one, to be honest, like riding a pendulum between 'Meh' and 'Wow'. For me, the novel alternates between wordy clumsiness and striking, impressive wordsmithing. The characters are what drew me in and captured my attention, but there were several lines that stood out as absolutely brilliant. But the propensity toward info-dump, the pacing &/or repetition in several places, and the absolute 100% predictability throughout the entire thing ultimately leave me waffling between 2 and 3 stars. Very interesting review! I can't say I altogether disagree with you. I read the book as a teen, but am starting to wonder what I would have thought of it if I'd come across it for the first time now. So glad you found it interesting! I mulled over my thoughts for a bit, then read the reviews that it already had, and I was actually a bit nervous to post my response. Everyone is so gushy about this book. lol I'm glad to have read it, so that I can share the same references as everyone else. As a love story, I enjoyed their respective gradual realizations of love. I'm just not overly blown away by it. That's a very apt modern review :) When Austin wrote this, it was ... revolutionary. For her to make 'a good match' not foremost in the young people's minds and show women as more than airheads yet less than cattle to those around was eye opening for a lot of folks (which is why it gets so preachy). All of her books are like that to some extent, lol! There are some amazing movie adaptations of this novel; it's one that really lends itself to the screen with its clean and cohesive plot lines. Ha ha, thanks! Yes, I know that I have a certain amount of prejudice from my own upbringing. Perhaps if I knew more about the time frame, I could appreciate it even more. I know a little, and it was interesting to see through that window, but I just don't get the 'favorite book ever so perfect! '-ness behind it. I do plan to check out at least one of the movies, though! I don't think there's ever a favorite or perfect book, lol! I really believe, however, that some people like to elevate a book because of its age/pedigree and make themselves feel smarter or more educated because of it. Austen is on of the 'fathers' of the modern novel, and amazing for it. I prefer the Bronte sisters, though. My favorite Austen story is Northanger Abbey, followed by Emma. Though often not included in the cannon, they're charming and still hits all the social points. My favorite novels of this genre at all are Tenant of Wildfell Hall and Jane Eyre. I much prefer all of these to Pride and Prejudice. When I was in school I specialized in historic analysis of lit, it's fascinating to add sociology and history in with the book... it adds an incredible depth to the reading. A really fascinating look at this is The Book of Ruth by theologian Carolyn Custis James. Don't let the religious nature deter you; she takes this Biblical passage first as a work of literature then dissects it in historical and social context showing feminist undertones to allow us to see what the ancient Hebrews and first Christians would have gotten out of the story. Really amazing. I've never read any Bronte novels, either. I should definitely check those out during my reading challenge. Thanks for all the recs! I'll check them out and add them to my goodreads "want to read" shelf. I actually quite like some Christian history. My first NaNo project was one, and I used to love OSC's biblical fiction. It really depends on how it's handled, but this one sounds awesome. Thanks again!